More and more companies use commercially available tools for managing the organization of the company, design and planning of production needs. Engineering is so inextricably linked to IT and increasingly powerful computers allow you to obtain more accurate calculations in a much shorter time. The design process has become much more efficient: today the execution of a model consisting of hundreds of machine components is not a problem anymore. The biggest drawback is the cost of new solutions to workplace equipment. Computers and the necessary software engineering are very expensive and companies are willing to look for cheaper solutions. One design is the use of the cloud. What it is? The fact is that all information is provided by the supplier of the software. The user (in this case, the designer) only needs a stable internet connection. By logging in to your account in the program, the engineer can immediately preview all his work. You can therefore work on any device - desktop, tablet or even a smartphone. "Normal" laptop and a web browser will suffice to design even the most complex devices. The great advantage of the engineering software in the cloud is a model settlement. Place costly license took a monthly subscription at a reasonable price. It allows for full flexibility: any time you can buy a subscription for new users; You can also at any time give it up. 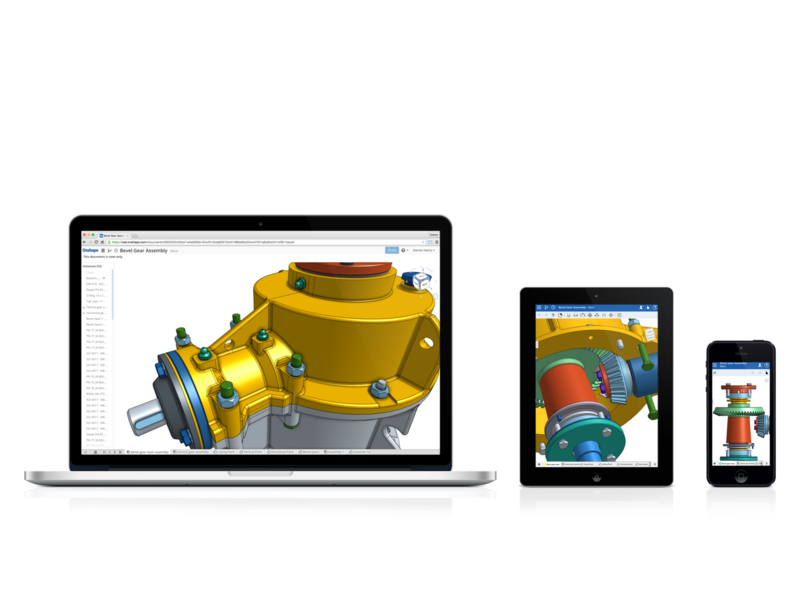 We are currently working on software Onshape: Full-Cloud 3D CAD . The first impression is very positive. The program runs smoothly even for very large models, and the ability to track changes and automatic recording allows for comfortable working conditions without fear of losing many hours of work, which will appreciate all those who have experience with other CAD software. It is extremely helpful in daily work - not only allows you to create complex models and projects, but facilitates teamwork and improves the flow of information in contact with customers. Simply log on to the program to real-time monitor progress. There is more to it. The tool is constantly improved - continuously added new features that make the program even better. This software meets the needs of engineers and designers. The application is short: happy to remain "in the clouds"!